One of the best space efficient solutions for a small bedroom is a bed with storage. There are two common designs in this category – either a lifting mattress and some storage below it; or – a non-lifting mattress, but storage drawers integrated in the bottom of the bed. Another great suggestion for small bedroom is a corner wardrobe . Such models take up space we do not normally utilize and have a greater storage capacity than their rectangular counterparts. There is plenty of modern furniture for small spaces designed with a living room in mind. A very interesting example is a coffee table with hidden storage compartments, helping you to cut down on separate storage units. Some other coffee tables have an adjustable lift top and can be converted into a compact workstation. Other models have an extendable surface to accommodate more drinks, and, consequently, people. Hallways are a common problem – quite often, they are either too small, or too narrow. Still, it is possible to find plenty of compact coat racks and stands that will fit into your premises. Another common approach (for house owners) is to turn empty space under the staircase into a custom made storage unit. Some people even turn actual stairs into drawers. Sure, it requires a bit of time and effort, but it is totally worth it. The most obvious suggestion here is to go with extending dining tables. The majority of models can increase their capacity up to 1.5 times. Some others double it. In a small kitchen, you should do anything you can to optimize your storage. And, if you live alone or with a partner, you can perfectly deal with a two-seater dining table. Sure, some of the examples described above will have to be individually produced. Some of the others, though, are easily available in stores all throughout the country. Of course, if you would like to have more options, you should start your search of modern furniture for small spaces in big stores rather than in small ones. In the UK, one of the best examples would be Furniture in Fashion . 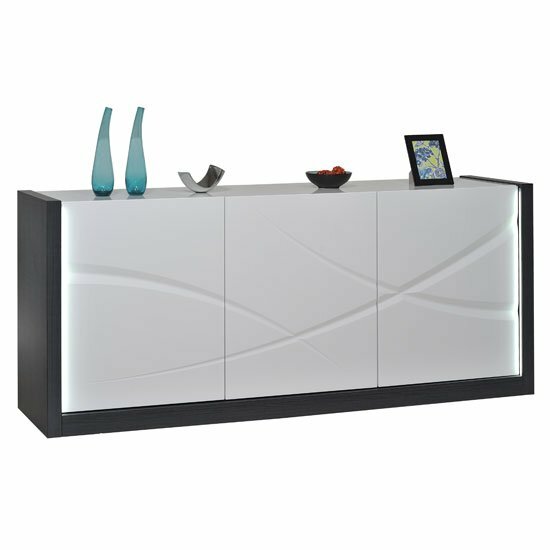 The company has been in the market for years, it long ago came to an agreement with a wide range of reliable furniture manufacturers and gained customers’ trust due to its interesting product selection, fine quality of every furniture piece, top level customer service, and – of course – quick delivery time.